I would like to partner with the Ablaze team. What are my options? You have the option of supporting Ablaze Ministries or a specific Ablaze Missionary with a one time gift or by becoming a monthly partner. Our desire is that you would support our ministry or an individual missionary for as long as the Lord enables you to do so. When you become a monthly partner, you are truly a member of the missionary’s team and are working through them in their mission to youth and families. Visit our page on Breeze to partner with us. Yes! Ablaze Ministries is registered with the IRS as a 501(c)(3) organization, and we follow IRS regulations for contributions. Is there a way to give online, and is it safe? 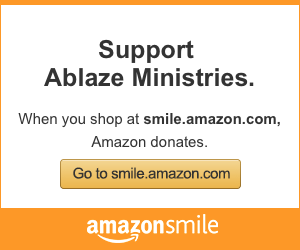 All online contributions to Ablaze Ministries can be done through Breeze (and trust us, it’s a breeze…get it?). Breeze takes part in daily procedures to guarantee it’s security. How should I write a check for Ablaze or for a specific Ablaze Missionary? Make your check payable to Ablaze Ministries. Checks can be mailed to our office at 1004 S. Coulter Drive in Bryan, TX 77803. If you are supporting a specific missionary, please include that missionary’s name on the check memo line or on an enclosed note. If you have any questions, give us a call at (979) 485-9910. I am outside of the U.S. Can I still give to Ablaze? Yes! Please contact Matt Rice, our Development Director, or call (979) 485-9910 ext 701, and we will set up your gift! If I support an Ablaze Missionary, does all of my contribution go to that person? All contributions designated for a particular missionary go into their account, which is managed and dispensed by Ablaze Ministries. 12% is used for administrative expenses, such as processing payroll, benefits and other services, but the remaining funds go directly to each missionary.